Java, joe, brew. However you say it, we love coffee. We prefer ours bulletproof, loaded with grass-fed butter and coconut oil. We like it warm or iced, with coconut sugar or homemade creamer. A good cup of coffee can give us that extra boost in the morning (especially for those parents dragging after a night of sleep training). But what to do about those leftover coffee grounds? 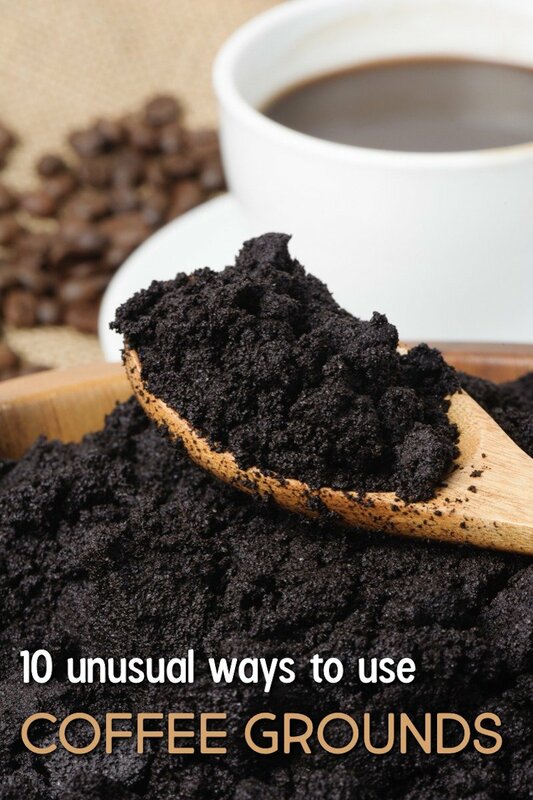 Here are 10 unusual ways to use coffee grounds to your benefit! Coffee doesn’t just boost our energy, but can boost the glow of dry skin. Coffee grounds are a perfectly gentle exfoliator and can nourish the skin as well. Mix 1 cup of used coffee grounds with 1/3 cup Epsom salts, 1/2 cup organic brown sugar, and 1 cup coconut oil. Store in an air tight container and apply 2 tablespoons to face in the morning once a week. Rinse with warm water, followed by a cold water rinse to close your pores. How does your garden grow? With compost, of course! Leftover coffee grounds are a great fertilizer and can be combined with banana peels, apple cores, and organic tea bags for a compost that will help make your garden abundant. Bring a jolt to tired eyes with a homemade eye serum. Use leftover coffee to bring some brightness to those dark circles. Here is a terrific eye serum recipe! Gather used coffee grounds in a bowl and place in your fridge or freezer to get rid of any unpleasant odors from stout and spoiled food. Keep a dish of used coffee grounds by your kitchen sink to use as a natural scrub for pesky residue on pots and pans. Dip a wet wash cloth in the grounds and scrub away! Has your wood furniture taken a beating over the years? There’s no need to purchase a wood marker or a toxic solution to make the repair. Dip a q-tip into warm water and then into leftover coffee grounds. Gently rub into the scratch on the furniture. Repeat this process until you achieve the desired color. Of course, always test on an inconspicuous spot first! Few things are more luxurious than a good foot scrub. A homemade foot scrub can take the edge off calloused feet and a stressed mind. To make a simple, inexpensive coffee foot scrub, combine 4 tablespoons of fresh ground coffee, 3 tablespoons of sea salt, 2 tablespoons of olive oil, and a couple drops of lavender or peppermint essential oil. Add some used coffee grounds to your pets’ shampoo to help keep fleas and other pests away from their precious coats. This is one of my favorite and most underrated ways to use coffee grounds. 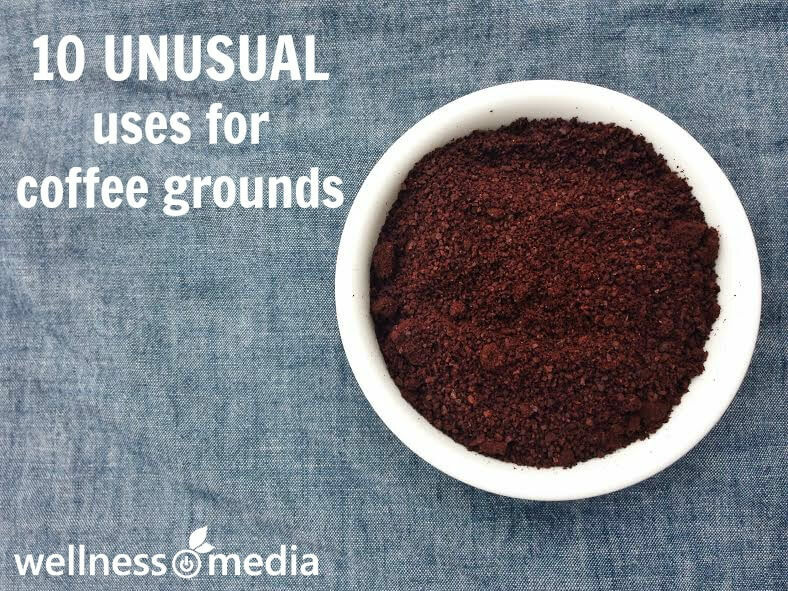 Combine used coffee grounds with boiling water and homemade natural dish soap. Pour the solution down the drains in your home to help break up any clogs. Looking for a fun project to do with the kids? Mix coffee ground with some water until you get a nice, liquid mixture. Pour the mixture into a baking pan and set a piece of paper in the coffee mixture. Let sit for a few minutes and allow the solution to subtly dye the paper, giving it an old, antique look. This is perfect for recreating historic documents for history class or for a mysterious map for a treasure hunt! Have you ever tried any of these uses? What’s your favorite way to have coffee? Tell us below!